One of the most-recognizable pistols made today, the Magnum Research Desert Eagle is available in a range of finish options designed to appeal to a broad range of consumers, from durable, matte-black finishes to the flashy, gold-plated look that makes the gun really stand out on the range. To these already extensive finish options, Magnum Research added a new finish in the form of its “White Tiger,” playing off the tiger-striped look already available in black and gold finishes. 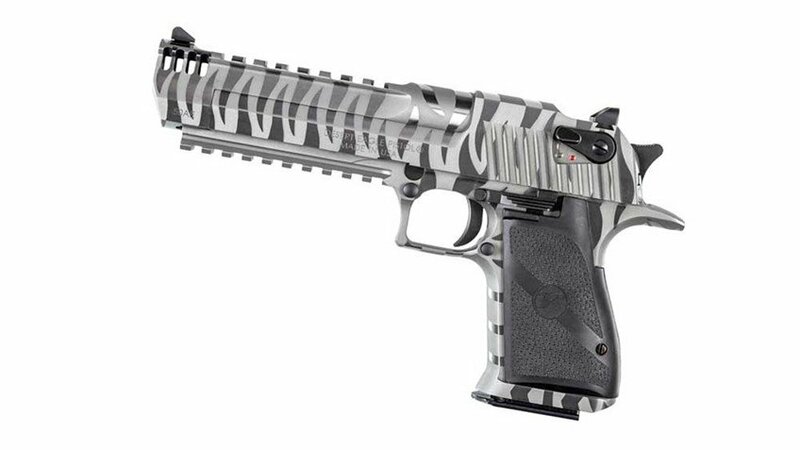 This new finish option on the White Tiger Desert Eagle is created by machining the gun with a stainless-steel frame and slide and then alternating between matte and polished surfaces along the surface, creating a distinctive, tiger-striped look. The new model is available in either .44 Mag. or .50 AE, and all Magnum Research Desert Eagles are made in the USA.